Trinity St Mary’s CE Primary 100% pass rate takes the school into the top 1% of schools nationally. Trinity St Mary’s CE Primary School in Balham has received official recognition for their academic excellence and high standards of professionalism from the Secretary of State for Education, the Right Honourable Damien Hinds MP and the Minister of State for School Standards, the Right Honourable Nick Gibb MP. The Ministers’ letter continues, “Your school’s results, as published on 13 December 2018, show that by improving the percentage of pupils achieving the expected standard in reading, writing and mathematics for the second year in a row, 100% of your pupils reached or exceeded the expected standard in reading, writing and mathematics at the end of Key Stage 2. This means that your school is in the top 1% of primary schools in England. We want to equip every child with the fluency in reading, writing and mathematics necessary to prepare them for a successful secondary education and beyond, and your school has provided this to all your pupils”. Trinity St Mary’s CE, or TSM as it is lovingly referred to, is now placed 1st in Wandsworth borough for academic achievement in both Key Stage 1 and Key Stage 2 and 452nd in the country. A huge achievement as there are over 16,000 primary schools. TSM is nestled in the heart of Balham on Balham Park Road; and is a friendly, welcoming and diverse, one form entry primary school. It offers places to children from 2 year’s olds to 11 year olds. Trinity St Mary’s is looking forward to welcoming new Reception children in September. 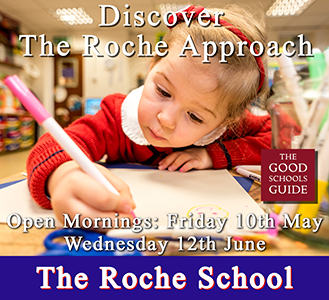 If you are interested in your child attending TSM then please call 020 8673 4166 where they will be happy to book you in for a personalised tour of the school and its facilities.